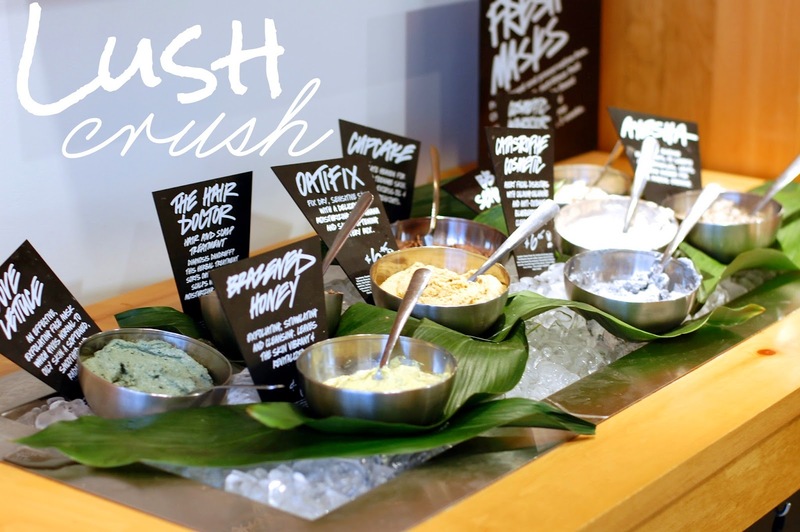 Have any of you heard of a place called Lush? It's a natural ingredient based cosmetic store that sells tons of beauty products including fresh face masks that sit on ice. These masks are composed of farmer's market ingredients that are bought on Monday & Tuesday before being shipped out to stores on Wednesday. I was never familiar with the place until one of my closest friends pointed it out on King St. & said: "Wow! 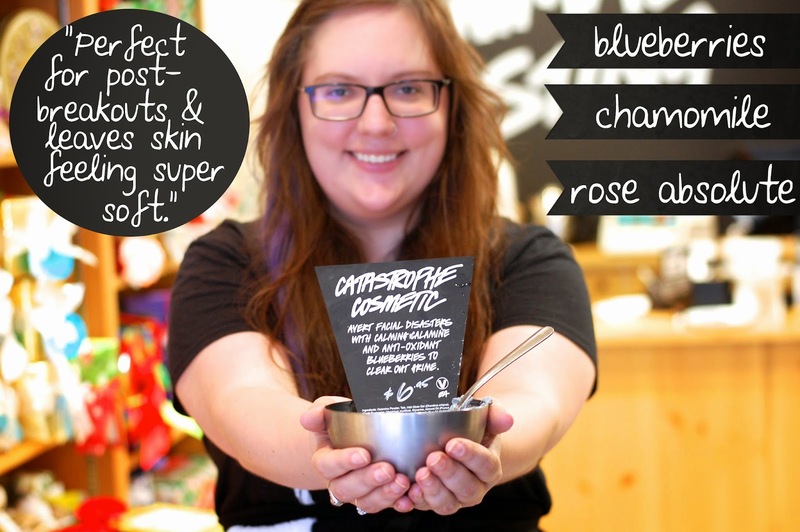 You're so lucky that you have Lush here!" and that's where this story began. That same day we walked in and I was intrigued by the layout of chalkboard writings on the walls and the very unique display of hand carved soaps shaped like cheese. A man filled with lots of enthusiasm (singing along to 90's hits) greeted us , and gave me my first sample of one of their awesome face masks. 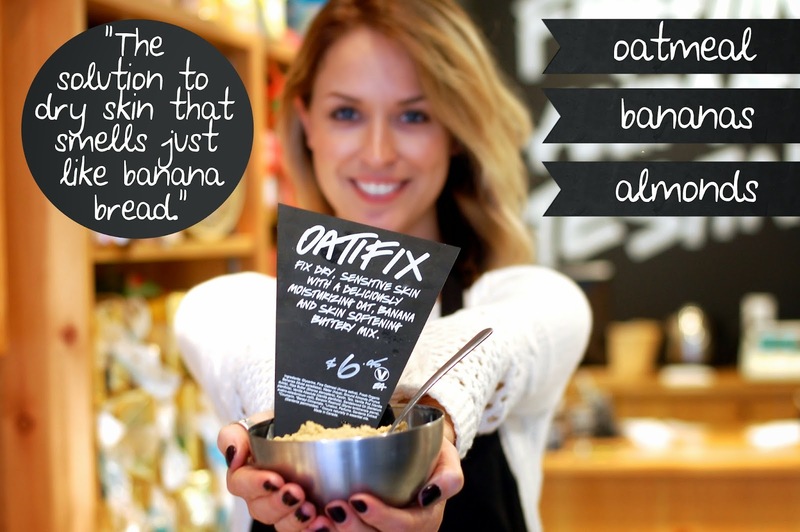 To share their story, we collaborated to give you some great tips on their fresh face masks, as well as a brief look into a nice & refreshing change to beauty products. 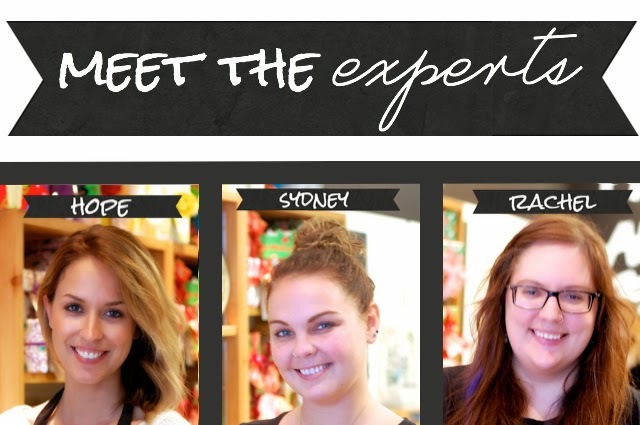 These lovely ladies were so kind to share their favorite fresh face masks & why they love them so much. If I didn't already love the store, their kindness was the icing on the cake! & they even took care of me with a fabulous facial! Colorful (& affordable!) bath bombs. Naturally, I left with a face mask that's sitting in my fridge that I've already applied twice since my visit. 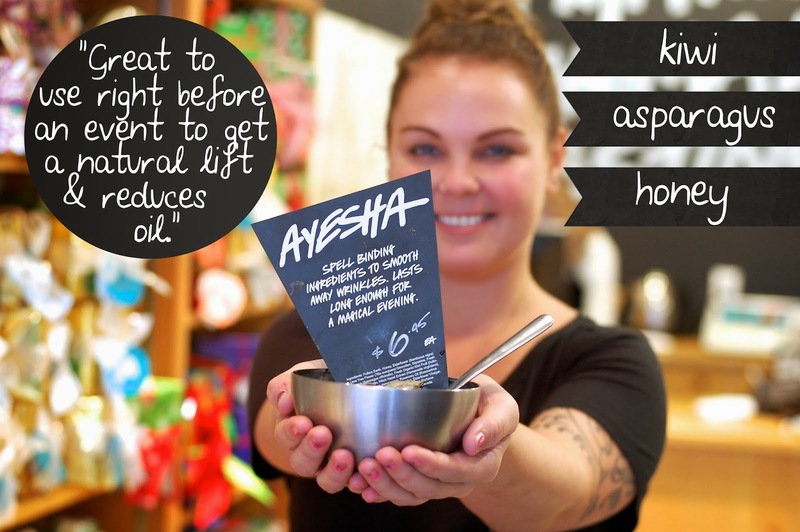 I can't wait to make my second trip to Lush this week to pick up some Ayesha for a fun weekend ahead!